Read carefully before installation and use . Check that the product is suitable fo rthe intended application, follow installation instructions and ensure operating instructions are passed onto the end user . This product is designed for use as a fresh water foot pump in caravans and boats. Use for any other purpose or with any other liquid, is not recommended and is entirely at the user's risk. Choose an installation where the pump can be operated comfortably. Cut a 3" (75 mm) diameter hole in the floor. Floor thickness: minimum 3 / 8 " (10 mm), maximum 2"(50 mm). One piece assembly fits directly onto floor. Secure with 3 screws . Release plunger plate by twisting anti-clockwise. Pump up and down with your foot; vigorously for full flow, gently for controlled flow. 1. It is not a pressurized system. 2. It is placed between the in-line electric pump and the water supply. Regular inspection of valves and seals is recommended with cleaning and replacement of components as necessary . Replacement parts are available in service kits and assemblies from dealers or direct from the manufacturer . Note: For winter storage , ensure that the pump is drained completely to avoid frost damage. 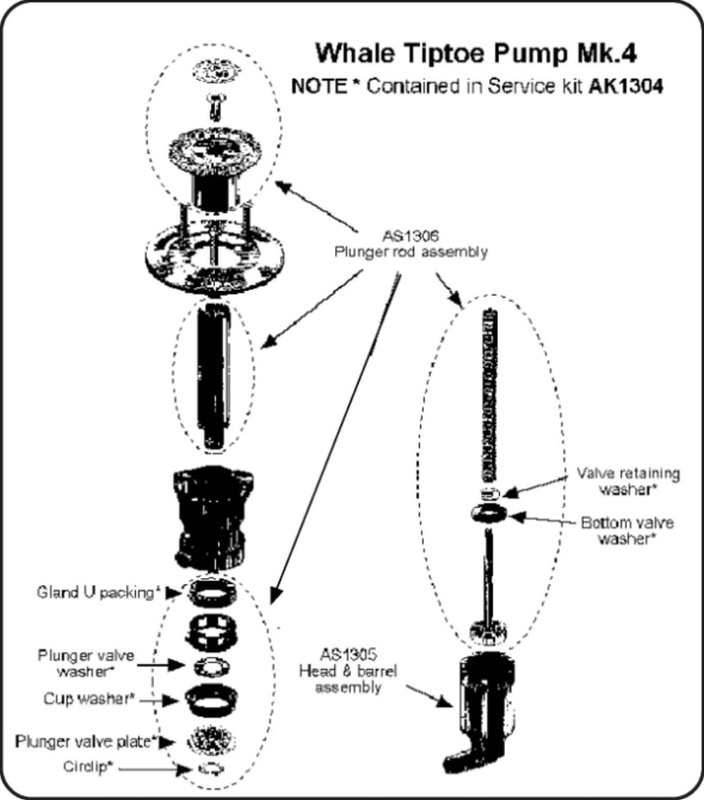 a) The pump can be serviced using Service Kit AK1304 which contains the complete set of washers for the Mk3 and Mk4 pump. b) If the pump is slow to prime, the cup washer may be worn or the valves are not seating properly. Check and replace these if neccessary using Service Kit AK1304. c) If the pump will not pump: -check that the suction line is in the water. - check that the hose connections are secure and that there are no air leaks. - Check the washers in the pump, they may need to be replaced. 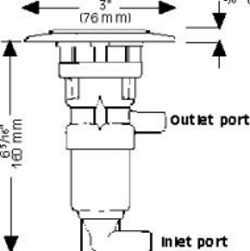 - if the outlet is an on/off faucet or tap, make sure that it is open to allow water to flow. d) If the pump is leaking, it is likely that the gland washer is worn. A replacement for this part is contained in Service Kit AK1304. Munster Simms Engineering Ltd .